How often should I have my roof checked? Our recommendation is that you have your roof checked every 7-10 years. Keeping your roof well maintained is the best way to avoid major damage, resulting in significant costs. Like most things, regular maintenance is more cost effective in the long term and ensures you have the peace of mind in knowing your roof is safe and secure. How long does each service typically take to complete? A variety of factors can influence the timeframe for completing each service provided by MRCR. The main factor will always be the roof size. Another key influence is the condition of the roof, and how well it has been maintained in the past. Other factors include the level of dirt and mildew build-up on the tiles and the time elapsed since the roof was last looked at. Cleaning gutters – 2-3 hours, depending of the amount of grime they contain. Replace broken tiles – dependent upon the number of tiles affected. Can vary from < 1 hour, to several hours if there are 50+ tiles requiring replacement. Whirly bird installation – approximately 1.5 hours. Paul Evans is our chief roofing consultant. Paul completed his apprenticeship in his hometown located in the Gippsland region, before relocating to Melbourne. Collectively, he has over 20 years experience, having completed several hundred jobs for many families all over the Melbourne metro as well as Victorian regional areas. What guarantees do you provide on your work? Here at Melbourne Roof Cleaning and Restoration, customer service is our primary focus. We will provide a 7 year warranty on all of our services for your peace of mind. I have a multi-storey house: will that make a difference as to how a job is completed? Yes, it does make a difference. Depending on the height of the roof, the costs and time taken to complete the job may be affected. Increased costs are incurred due to additional time required to install a safety rail and other precautionary measures required to ensure worker’s safety. What are the most common issues you encounter as a roofer? It is very common during the quoting process to find broken tiles scattered across the roof. Also commonly observed is mortar falling from the ridging tiles as well as grime and dirt blocking the gutters. In order to prevent this, it is important to have your roof looked at every 7 to 10 years to ensure these relatively minor problems don’t escalate into something more serious. Other than for aesthetic reasons, why would I bother getting my terracotta tiled roof cleaned? Terracotta roof tiles are composed of a clay based ceramic, a natural substance. This is why you often find living organisms such as moss and lichen growing on tiles once the glazed surface becomes worn. If this growth is not removed and the tiles resealed, the consequences can be quite serious. This is because the moss and lichen (like all living organisms) produce acidic waste matter which corrodes the tiles, making them porous. Over time the tiles will become spongey and absorbent, leading to more serious damage, cracking and leakage. Costs of repairs will escalate significantly, so by getting your tiles cleaned regularly you will save in the long term. What are some of the signs that indicate a roof requires repair? Are there leaks from your ceiling? Are there numerous broken tiles? Is there mortar falling from the tiles? Is water not running down the pipes properly? Is there water overflowing from the gutters? Has the roof’s paint started to fade, making your roof look worn and weather-beaten? If you answered yes to any of these questions, there’s a strong likelihood that your roof will require repair of some kind. What are some of the signs to indicate a roof requires cleaning? Is there signs of moss beginning to appear on the tiles? Has moss also started to grow between your tiles? Is your roof covered in grime and dirt? If you answered yes to any of these questions, there’s a strong likelihood that your roof will requires cleaning to return it to its original condition and prevent further damage. When is a full roof restoration necessary? A full restoration is required when tiles have become porous due to prolonged loss of surface coating. When this occurs, the tiles act as sponges by absorbing excess water and eventually cracking or breaking. This leads to leaks and the potential for water damage to your home. Also, if you wish to revamp the appearance of your home, especially if you are planning on selling, then a full roof restoration can add substantial value. By improving the appearance of the entire property, this translates to increased value at a dramatically reduced cost than if you were to replace the entire roof with a new one. What is the difference between a repair and restoration? A repair is only a small component of a full restoration. Roof repair is about ongoing maintenance to preserve the condition of your roof. It generally comprises of small jobs undertaken on a well looked after roof, such as replacing broken tiles. On the flip side, a full restoration involves completing a series of steps which will return your roof to its original (as new) condition. The steps which include cleaning, rebedding, repointing and painting, are designed to fix a worn out roof which has not been regularly maintained. Does a roof need to be cleaned or restored regularly? Ideally, yes. However, the frequency varies and is dependent upon the climate which the roof is exposed to, and the durability of your tiles. In order to ensure minor issues do not escalate into more serious ones, it’s best to have your roof checked by a roofing consultant every 7 to 10 years. Why should we pick you over other competitors? Firstly, we are a family owned business. We understand your needs and with over 20 years experience, we have the expertise to deliver. As an ethical operation, you can rest assured that the quote we provide is never embellished and only reflects costs for actual work required to be undertaken. Secondly, here at Melbourne Roof Cleaning and Restoration we take an immense amount of pride in our workmanship. We don’t outsource our work to subcontractors, provide you with top level customer service and don’t compromise on quality. We have a vested interest in ensuring a job is completed to the highest of standards in order to preserve our reputation. Finally, we are competitively prices and we will provide you with a fair and reasonable quote. 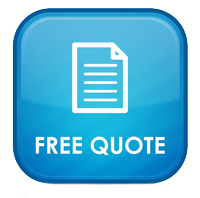 What is the best way to contact you to request a quote?